Located in the heart of Puget Sound and connected to the Greater Seattle Region’s centers of industry and culture, Kitsap is ideally positioned — for prosperity! Visit kitsapeda.org for more information and resources. Campaign for Kitsap KEDA leadership and clients tell the story of business assistance in Kitsap County. KADA: New Horizons Kitsap Aerospace & Defense Alliance showcases the rich defense heritage in our community as well as the aerospace opportunities. 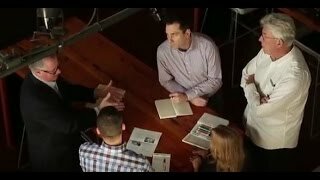 Kitsap Credit Union: Community Your small business is our business. People Power: West Sound Workforce Placing more than 6,000 Kitsap area workers in jobs is what West Sound Workforce is all about. They know the market, they know the employers and they know employment! Life+Work Experience living and working in Kitsap County through the words and expressions of those who do live and work in Kitsap and you'll be tempted to live and work here as well! For details on living and working in Kitsap, contact info@kitsapeda.org. STRENGTH: SAFE Boats International SAFE Boats International is more than an unsinkable boat manufacture - it's a company culture, quality of life, and a motivated, expert workforce. Building: Watson Furniture A home grown business with an international customer base -- one of many for Kitsap County. QUALITY: Lyons Painting & Design A commercial and residential painting firm that evokes strong loyalty and pride from each employee is characterized in their quality of work. They help color Kitsap County. 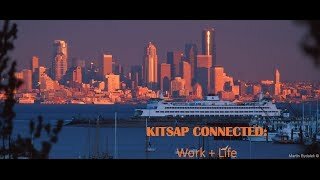 KitsapConnected An introduction to the award winning KItsapConnected video series, this video provides a quick and upbeat overview of living and working in Kitsap County, Wa. The “Kitsap Connected” video series is a growing collection of sounds, images, and interviews that portray the County for what it is: a cornerstone of the Greater Puget Sound Economy not to be overshadowed by its King, Pierce, and Snohomish neighbors. Check back next week! New videos coming throughout February! Kitsap Connected: Work+Life Kitsap's economic character, components, competitiveness and integral role in the Central Puget Sound regional economy are brought to life in a multi-media marketing campaign -- "Kitsap Connected". Central Puget Sound -- known around the world as the Greater Seattle market -- is renowned for its strong, diverse, skilled and innovated economy. Kitsap's economy is woven into that Seattle economy with its talent, innovation, authenticity and more. KitsapConnected: Innovation -- ATS Applied Technical Systems Inc. (ATS) is a recognized expert in cloud-based software solutions, lifecycle support solutions, data analytics & mining, and data visualization. Founded in 1980, ATS has helped government agencies and commercial clients arrive at better decisions through intelligent discovery solutions and a broad range of systems engineering services. KitsapConnected: Talent -- West Sound Workforce West Sound and Seattle are employers want top talent. We provide that top talent by helping area employers find qualified and skilled employees close to home -- creating happy and productive employees. KitsapConnected: Community -- Harrison Medical Center Providing cutting edge healthcare resources to the Kitsap community demonstrates to the community that supports us that we support them -- with award winning practices and procedures; top rated physicians and often first in the region with leading edge healthcare technology. KitsapConnected: Pacific Northwest Title -- Living Living close to Seattle in a vibrant community in a home you own is part of Kitsap's charm and appeal. Pacific Northwest Title treats real estate transactions for their clients with professionalism paired with friendliness and expertise. KitsapConnected: Balance -- The Doctors Clinic Kitsap's Life+Work balance provides a competitive advantage in recruiting top trained healthcare professionals who choose this Seattle-region location because it provides the work life that inspires them and the lifestyle they dream of. Live Work Play in Port Orchard Port Orchard, a waterfront community located across the sound from Seattle, offers the lifestyle and amenities attractive to families, business and visitors. Collaboration -- Western Washington University and Olympic College WWU and OC collaborate to bring more baccalaureate programs to Kitsap County -- providing opportunity and flexibility to Kitsap residents. KitsapConnected: Trust -- Kitsap Bank Creating trust for their clients is what drives Kitsap Bank to being one of the oldest and most successful community banks in the Seattle region. KitsapConnected: Sustainabilty -- PSE For more than 100 years, PSE has worked to provide energy solutions to Kitsap. Renewable energy and sustainability form the foundation for this Seattle region energy company. KitsapConnected: Authenticity -- Suquamish Tribe The values of our culture, passed on by our great leaders such as Chief Seattle, have allowed us to grow and prosper responsibly. Authenticity is a core value embodied in all we do. KitsapConnected: Bainbridge Graduate Institute (BGI) -- Transformation Transforming lives to create change for a better world is the focus of the programs at The Bainbridge Graduate Institute. With sites in historic Pioneer Square in Seattle and at IslandWood on Bainbridge Island, BGI offers educational programs in sustainable business, organizational leadership, and entrepreneurship for working professionals. KitsapConnected: Family -- Kitsap Credit Union Kitsap Credit Union members may own their own business, work in the shipyard or commute to Seattle, but all are treated like family when conducting their business at KCU. Washington State: Where Else? World-class companies explain why they choose Washington as a place to do business, including its pioneer spirit, diversity, connectivity, passion and can-do culture. 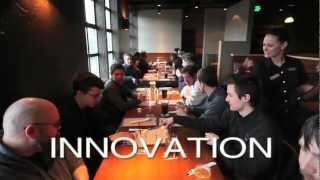 Washington State: Building Business Legends.